Kane Hodder is best known for his portrayal of Jason Voorhees in four films from the Friday the 13th film series: Friday the 13th Part VII: The New Blood, Friday the 13th Part VIII: Jason Takes Manhattan, Jason Goes to Hell: The Final Friday, and Jason X. He is also known for his role as Victor Crowley in Hatchet, a role which he continued in Hatchet II and Hatchet III. He also played Leatherface during the stunts of Leatherface: The Texas Chainsaw Massacre III. Kane is also the subject of the biography Kane Hodder: True Life Story of the World’s Most Prolific Cinematic Serial Killer. More information on the book can be obtained here.  Kane Hodder will be appearing at Frightmare In The Falls both days.